RESQ Charitable Trust - Kaudi Gets a Forever Home! Kaudi’s ResQ Story-from Abandoned to Adopted! We were informed about a male cow who was walking unstable and had a severe eye and nose discharge. We brought him to the RESQ Centre to provide him with the necessary treatment for his poor health, only to find out that he had a large amount of foreign body in his stomach causing a severe bloat. We named him Kaudi. A few days after admission, Kaudi underwent a Rumenotomy Surgery, where our doctors successfully managed to remove almost 40 kgs of foreign body (mostly plastic) from his stomach. 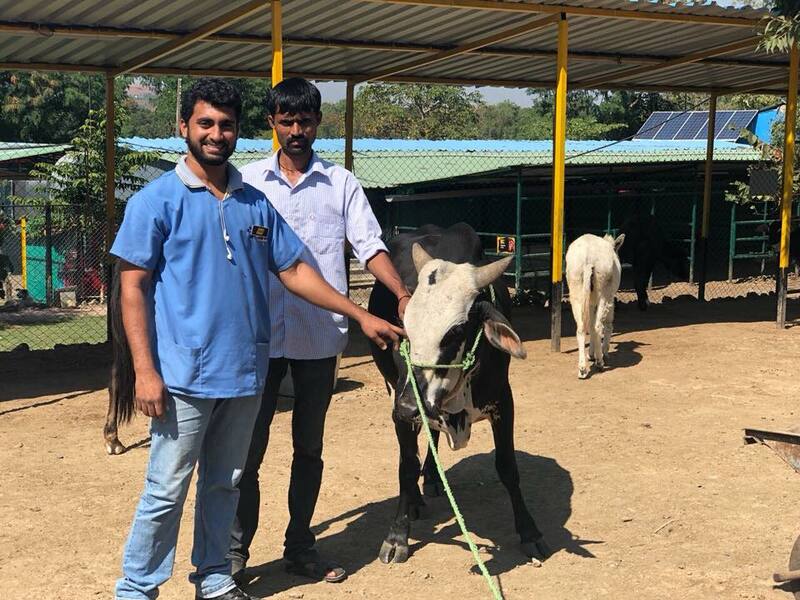 Surviving the surgery, he made a speedy recovery and was a healthy cow in just a matter of one month. Kaudi was soon recognised as one of the most notorious cows at RESQCT, who along with his friends Veera and Durkya, would often be spotted stealing food and playing in the grass. After a period of almost two months at the RESQCT, we are very happy to announce that Kaudi was finally adopted earlier this month. He is now a member of a farmers family and went on to live in their farmhouse. Kaudi now has other siblings with whom he spends his days grazing in the fresh green grass. His new family is very fond of him and treat him well.